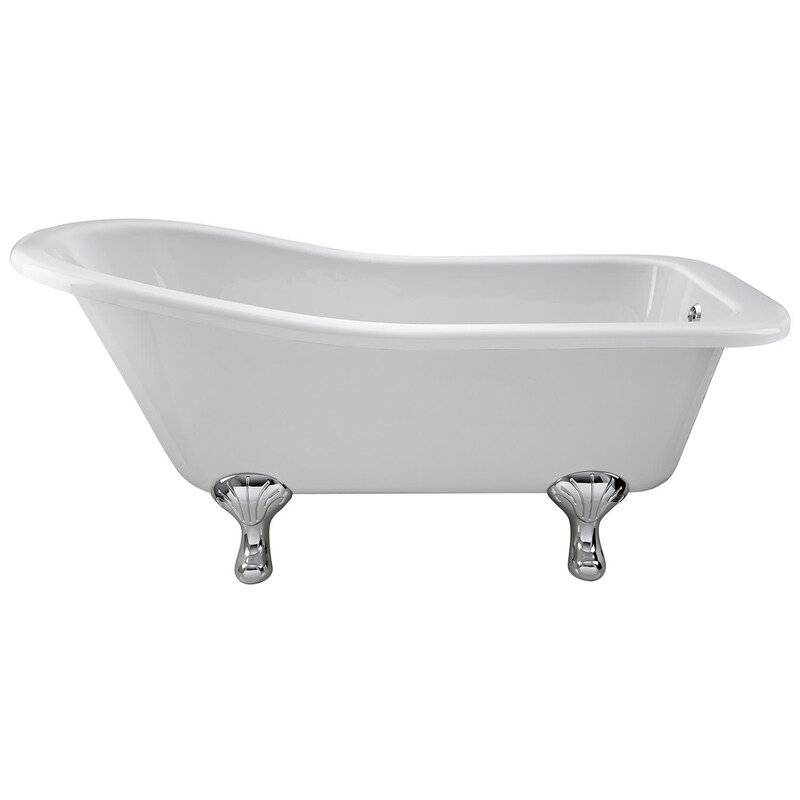 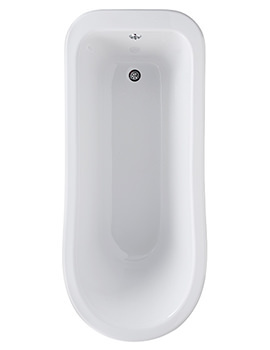 The Bayswater Pembridge 1700 x 730mm Slipper Freestanding Bath is a completely smooth unit that is free of tap holes, allowing the user to install this unit alongside a floor-mounted, compatible tap. 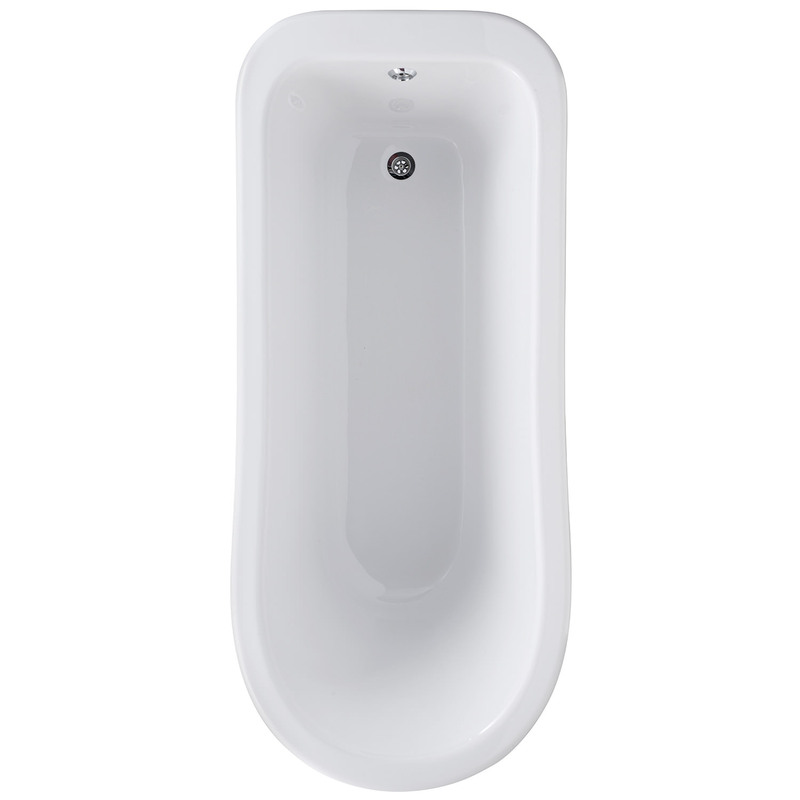 Constructed from strong and durable acrylic material and coated in a crisp white finish, this product is a lovely stand-alone unit that offers an impressive capacity allowing anyone to soak within it comfortably. 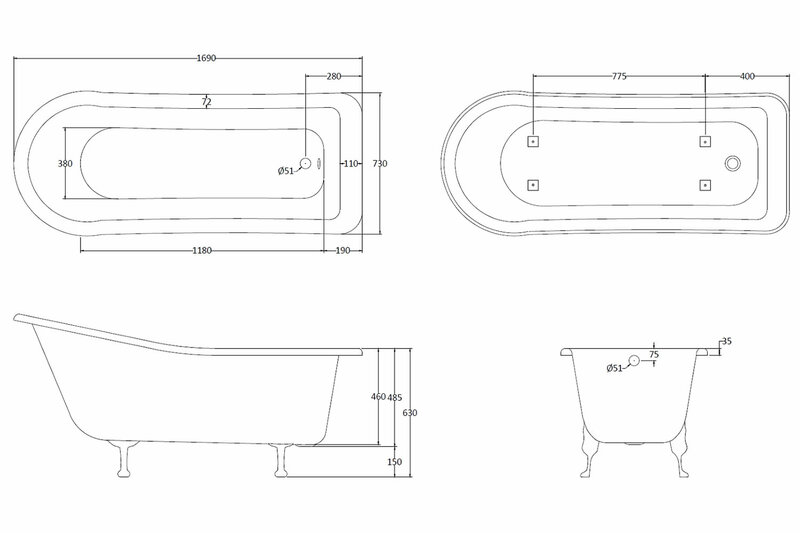 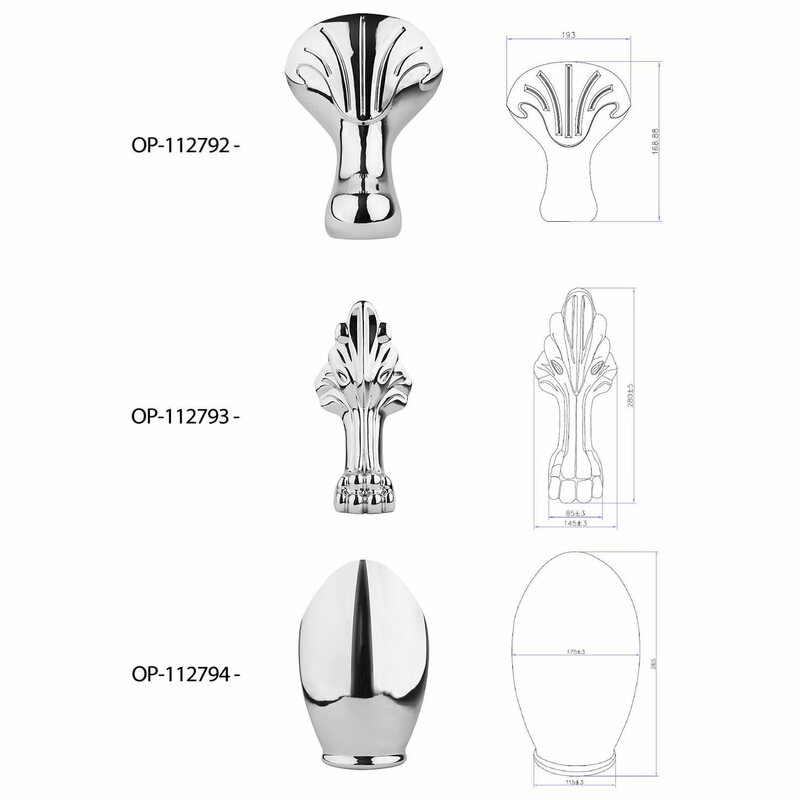 A model that does not come with waste or optional set of legs included, but they are available separately as an option if desired.